I Drive Smart is a driver’s training program for new drivers who want to learn the rules of the road and gain first hand behind-the-wheel driving experience from active duty and retired police officers. I Drive Smart is the only driver education company in the region where 100% of the material and behind-the-wheel training is taught by active duty and retired police officers. I Drive Smart participants will learn life-saving information through interactive classes, one-on-one approaches, and by listening to first hand experience from the instructors. The hands-on activities of this course will excite and inspire campers to be safe and responsible drivers for life. 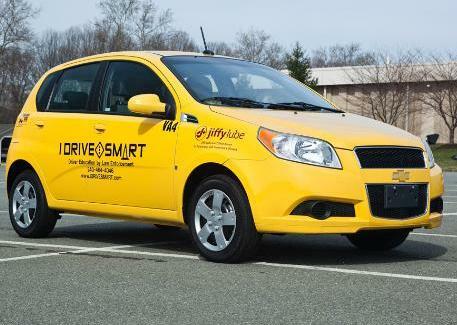 Registration for I Drive Smart must be completed by accessing the company’s direct website. Please click here to access the website for I Drive Smart to register or learn more about the program. The fee for all sessions includes materials, driving class instruction, and behind-the-wheel training. This course consists of 36 classroom periods with each period consisting of a minimum of 50 minutes. This course also includes in-car instruction which consists of 14 periods of instruction. 7 of the in-car instruction hours must be completed by the student actually driving and the other 7 must be completed by observing another student driver.